Gender norms have always been a very important part of our society. But the more we evolve, the more it seems as if these norms, the same norms our grandparents and their grandparents followed, are being slowly thrown out the window. And for good reason. We have created so many societal norms that make the most ridiculous things unacceptable. Like boys wearing dresses or girls playing with cars. Well, it is 2019, and if there's one place that gender fluidity is slowly becoming mainstream, it's Hollywood — in particular, the way Hollywood stars are raising their children: from Angelina Jolie and Brad Pitt, who let their little girl Shiloh wear tuxedos and shop in the boys section, to Adele, who is super proud of her son wanting to dress up like a Disney princess. Hollywood (and with it the rest of the world) is becoming way more experimental and accepting when it comes to parenting and letting children make their own choices, and honestly, we are so here for that. Hopefully, parents all over the world will soon make the shift as well. So here's a list of 20 celebrity kids who've been breaking the gender norms one outfit at a time! Let's kick our list off with one of Hollywood's most famous gender-fluid kids when it comes to fashion: Jaden Smith! Jaden has been known for years now for having a very unique style, into which he incorporates a lot of dresses and skirts, and he makes them look fabulous. His famous mom and dad completely support Jaden's fashion choices, and why wouldn't they — the kid always looks futuristically cool. Here he is above in a more chill look, running school errands. His little black mini totally works with the mesh top and sneakers, and the fact that he stuck to neutrals makes him look ultra high-fashion. Keep on serving us looks, Jaden! Actress Jamie King received a lot of negative comments after showing up on a red carpet with her son James wearing an adorable pink princess dress. Not too many people were accepting of it, which is sad, because the kid was super happy in the pics. Jamie later revealed that James also picked her dress and lipstick color and that she is super proud of him for being comfortable and loving fashion. Jamie believes everyone should wear whatever they like, and that clothing doesn't define a person. As for little James, he's lucky to be growing up in a household where his parents let him be whoever he wants to be! Here's another Hollywood couple who let their child wear what they want, and who know that clothing shouldn't have gender restrictions. 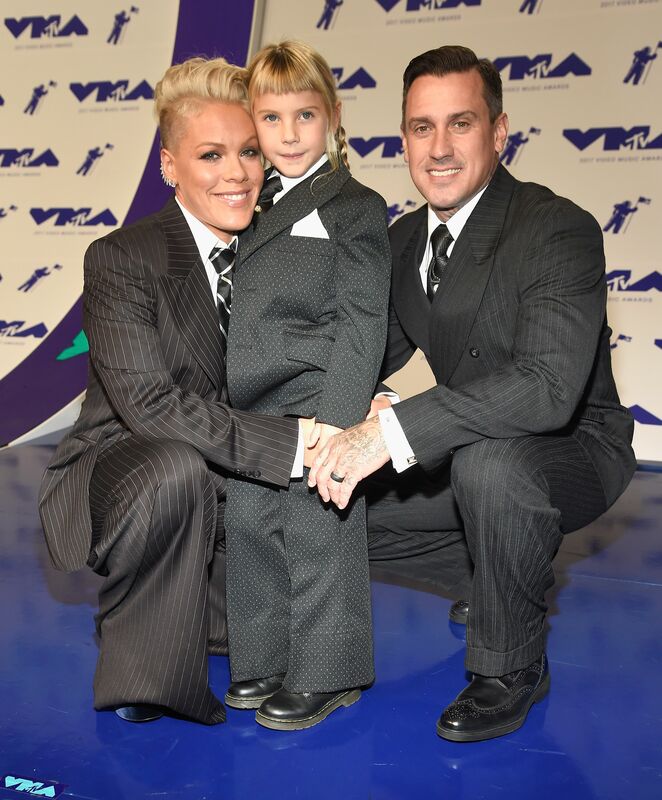 Singer Pink and her husband Carey Hart let their little daughter Willow pick what she wants to wear, and more importantly, they let her buy her clothes in the girls and the boys section. Here's Willow attending the MTV VMA's red carpet looking like one stylish kid while rocking a suit. In fact, the whole family was rocking the same outfit, proving once again that clothes are just clothes, and one should be able to wear them regardless of gender. 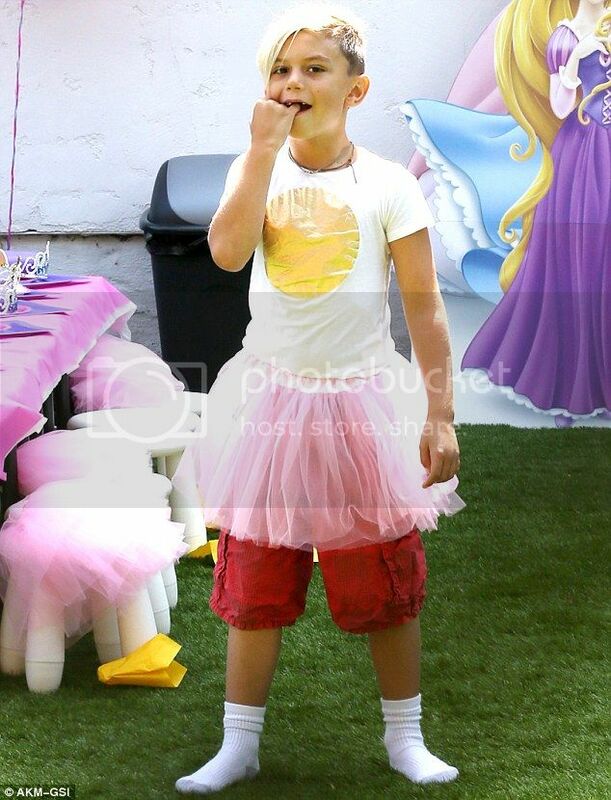 Gwen Stefani And Gavin Rossdale's son Kingston was another Hollywood kid spotted wearing a dress, or more precisely a tutu skirt at what looks like a birthday party. Gwen and Gavin are known to let their kids wear colorful crazy clothing, and Kingston clearly just puts on whatever he likes, and rocks it. Honestly, we think letting your child wear whatever they want is a great way to let them explore their own preferences from a young age on, and develop a unique and very personal style. Besides, we can all agree that fashion should not be taken too seriously, it should just be fun! Orange Is The New Black star Dascha Polanco has on multiple occasions stated that she is trying to let her son and daughter grow up in a gender-fluid home. The actress teaches them to simply embrace their individuality, no matter what that might look like, and she gives them no boundaries when it comes to their fashion choices. So when her son wants to wear something fun, bright and glittery, the actress allows him to do so. Heck, she even lets him come along for a red carpet appearance. Seeing celebrity parents who encourage their kids to think outside the box is amazing! When Russel Brand and Laura Gallacher had their little baby Mabel they decided to not impose any gender norms and let the child grow up in a free-of-gender environment. And while there aren't too many pics of the little cutie, we can occasionally see her dressed in colors that are considered to be "boy colors," like blue, green or gray. Here she is looking all happy while rocking a baby blue top, while being carried (and lovingly stared at) by her dad Russel. It's a crazy society we've created where it's considered weird for a boy to wear pink and girl to wear blue. It's just colors people. Calm down! Actors Liev Schreiber and Naomi Watts let their kids explore boys and girls clothing, and they give them zero limits on what is appropriate to wear because fashion is just a concept after all. So in the pic above you can see their son Kai who dressed up as Harley Quinn because why not? Kids should be allowed to dress up as whatever fictional character they want to dress up as, regardless of that character's gender. Even if the child isn't gender fluid, or brought up that way, the whole point of dressing up is to be someone else, which is why the gender really shouldn't matter at all in this case. Amber Rose And Wiz Khalifa's son Sebastian is one lucky kid because guess what, his mom takes him to get manis and pedis together, and she couldn't care less about what everyone else thinks. Amber Rose has gotten a lot of fire in the comments after posting a video of her son getting his nails done at a salon, but you know what, she definitely feels like she didn't do anything wrong — and we totally agree. In fact, in our opinion she did everything right, she let her son do something he enjoys, and thereby she fought against this society's ridiculous gender norms. Another Hollywood couple that has been raising their kids gender-neutral are Megan Fox and Brian Austin Green. The couples two sons Noah and Bodhi are frequently seen rocking dresses and skirts, and their parents let them, because why wouldn't' they? And Noah and Bodhi totally love it! Here's Bodhi, rocking a stunning, strappy and colorful dress over a T-shirt and Noah slaying us all in his pink princess attire. And honestly, this duo has shown us some amazing looks over the past few years, proving that boys can look just as amazing as girls in dresses! Keep on inspiring us, Noah and Bodhi! Billie Lourd, now a 26-year-old successful Hollywood actress was raised by her late mother Carrie Fisher without gender norms. This makes the iconic Carrie a pioneer when it comes to raising children gender neutral. Which is exactly why she named her daughter a gender-neutral name - Billie. 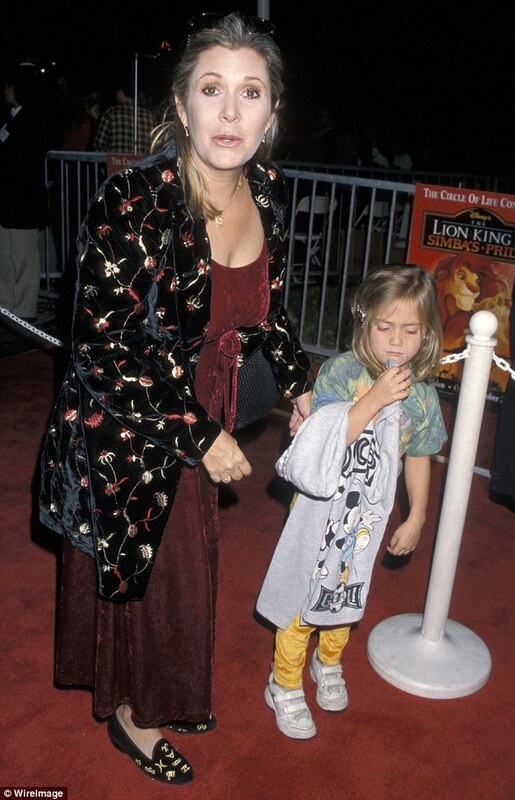 And besides this Billie was always allowed to wear whatever she likes, as well as look up to whomever she likes. Carrie taught her not to think of herself as a strong and independent woman, but rather as a strong and independent person. And Carrie for sure led by example in this case. 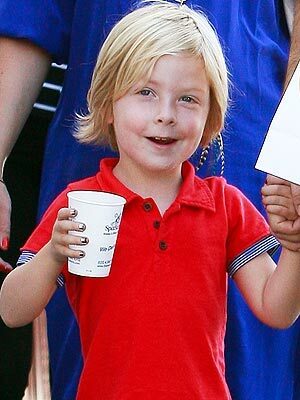 Tori Spelling has one thing in common with Amber Rose and it's the fact that both mommies let their sons get their nails painted. Liam's father has been a huge role model for this, as he'd frequently go with his wife to get mani's and pedi's, so why wouldn't his son do it as well. There's nothing wrong with having fun nails, and Liam loves to get them colored in metallics or get some superhero nail-art drawn on them. The fact that having fun nails has always been a girly thing to do is slowly changing, and moms like Tori and Amber are helping the movement! When singer Adele took her five-year-old to Disneyland the kid was spotted wearing Anna's dress from the hit movie Frozen. 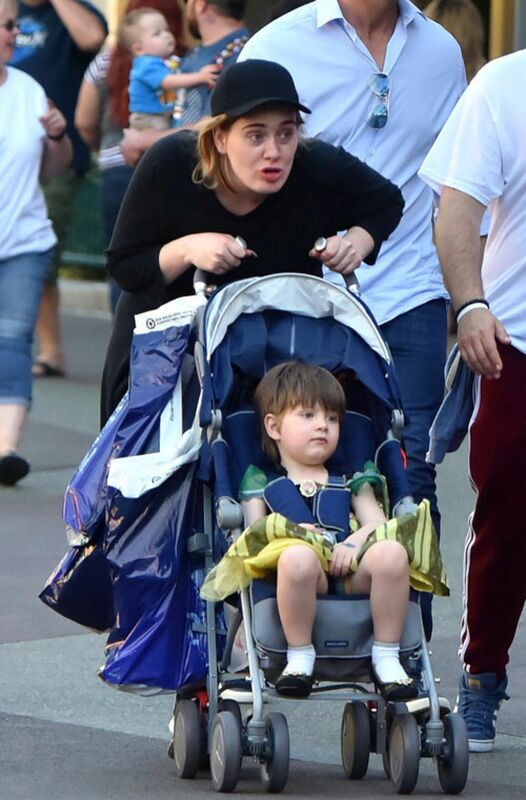 And as you've guessed it, everyone went wild because Adele let her son wear a dress. But Adele never cared about the haters, and since revealing her pregnancy she always talked about how she can't wait to support her child in no matter what they want to be. So here she is, being a role model for other mothers who want to let their children be free of gender norms, and rock crazy Disney princess costumes just because they can! Singer and diva Céline Dion has been known for being a huge gender-neutrality fan and supporter, and she recently even came out with her very own line of gender-neutral clothing for children. And when it comes to her own kids, Céline supports their clothing choices no matter what they are, and she lets them experiment as much as they want. To her, the most important thing is a child's happiness, and if that is achieved, everything else is less important. And when it comes to bringing up a child in a gender-neutral manner, that's what it's all about, the child's own happiness. Louis And Cecilia are another pair of lucky Hollywood kids because their parents let them be free and not constrained by gender. Actress Majandra Delfino said on multiple occasions how she wants her kids to be well-rounded and free, and how she doesn't allow for too many gender-stereotyped toys or clothing items to be used. It's her way of protecting her kids from all this gender madness we've created, and she figured the children will come to see it once they grow up anyway. But for now she can let her son wear pink leggings and her daughter play with toy cars if that means they are happy. Charlize Theron has also become one of those iconic names you immediately think of when it comes to celebrity sons wearing dresses. The famous actress lets her son wear dresses pretty much every day, and Jackson absolutely loves it. You can see him wear a gorgeous dress almost every time he goes out, and honestly, the outfits make a grown-up envious. 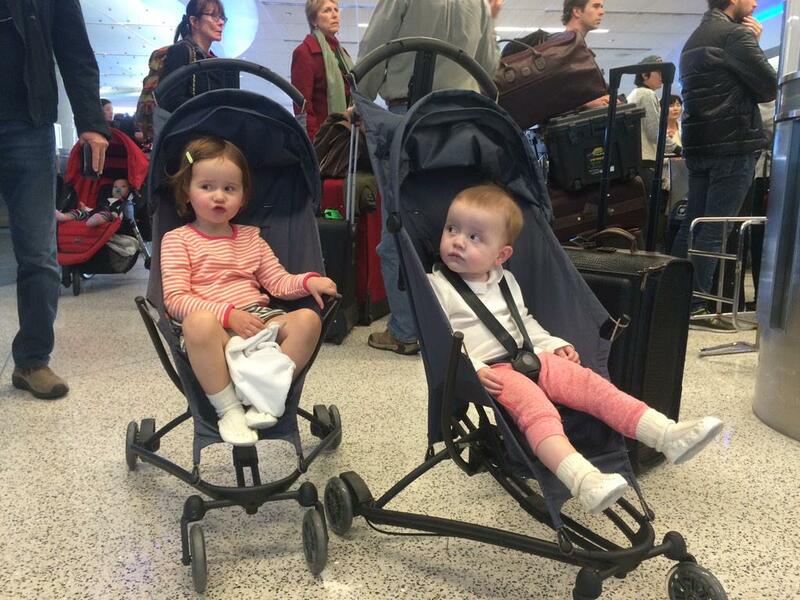 Charlize has always been supportive of Jackson's choices, whether it's glittery sandals or a pink backpack. She's definitely one of those moms who allows her child to be themselves, and she stands next to them supporting them the whole way. Zoe Saldana and Marco Perego are another Hollywood couple who have been pretty vocal about not caring about gender stereotypes when it comes to raising their kids. Which is why their sons Bowie and Cy are often photographed wearing tight leggings in bright colors. Zoe has even mentioned a couple of times that her sons love bright and fun colors and she loves seeing them in them. But unfortunately, the boys section isn't as colorful as the girl's section, which is why the actress often takes them to shop in the girls section of the store. And why not, if it makes everyone happy? Carrie Fisher wasn't the only pioneer of raising kids in a gender-neutral environment. The king of pop himself, Michael Jackson, brought up his three kids in a very open-minded manner. Judging from the pics we've seen of them as kids, they were always allowed to go as crazy with their outfits as they wanted to, and they always seemed to have a lot of fun. Michael himself stirred some controversy himself, but judging from what his close friends say, he was always fluid when it came to gender, and he never wanted to assign a gender to anyone, including his children. TV personality and host Chris Evans is a very open-minded father who lets his children explore and feel free. 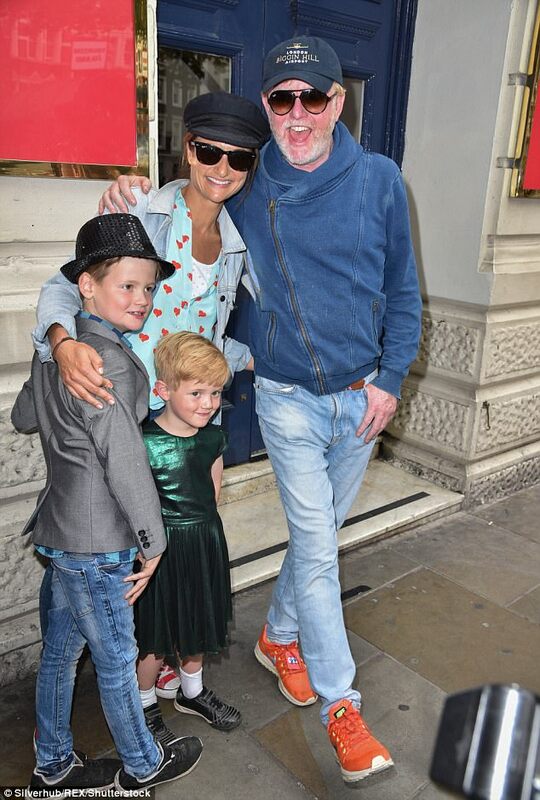 In fact, he let his five-year-old son Eli wear a green tutu dress to a show at London's Garrick Theatre, and you can bet people went crazy. There was a lot of negative feedback — which was expected, but there was a whole lot of positive out there, as well, with people praising the host and his child for breaking the barriers and making gender neutrality a more mainstream approach of living. We think little Eli nailed it in this adorable green look, and we can't wait to see more of him! By now, EJ Johnson has become a reality TV star and celebrity himself, and his father Magic Johnson probably couldn't be more proud of his son. EJ came out at the age of seventeen and has since wowed us with a slightly more brave approach to fashion. He has been seen rocking glitter, dresses, heels, you name it he's worn it. And he made it all work. Seeing that there are older celebrity kids like EJ who are gender fluid when it comes to fashion is a big encouragement for the younger generations to feel free to explore more and just be themselves. 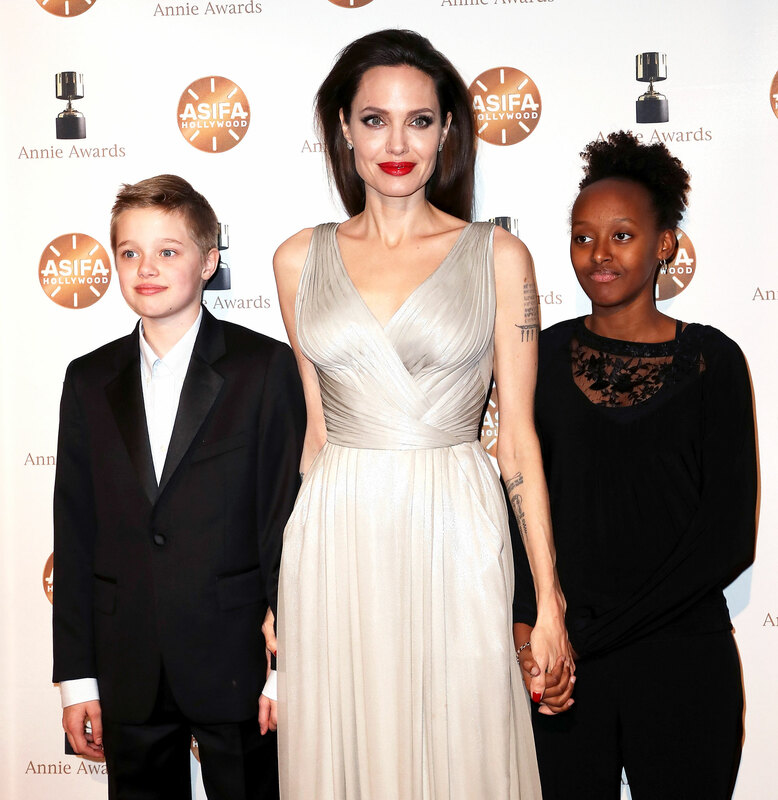 Last but not least on our list is one of Hollywood's most gender-neutral kids when it comes to fashion: the brave, adorable and completely unique Shiloh Jolie Pitt. With parents like Brad and Angelina supporting her every step along the way, this child is bound to be just who she's meant to be. And she's been known so far for shopping in the boys section and not caring what anyone else thinks! You go Shiloh, stay true to yourself. And with that we wrap up our list of boys in dresses and girls in tuxes, hoping that the world will become a more gender-fluid and accepting place!